In this week's episode, Jason, Tahani and Michael take a trip to Jacksonville in order to save the souls of Jason's nearest and dearest - most importantly, his father. 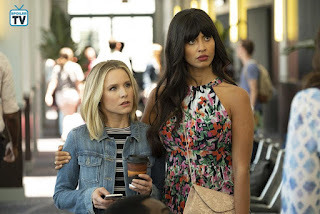 Whilst Jason may have good intentions, it takes more than that to get someone into The Good Place, as the newly minted Soul Squad are well aware of, and Jason's friends and family back in Jacksonville may be beyond redemption. It doesn't stop the trio from trying though and maybe, just maybe, Jason might be able to find a little bit of closure. 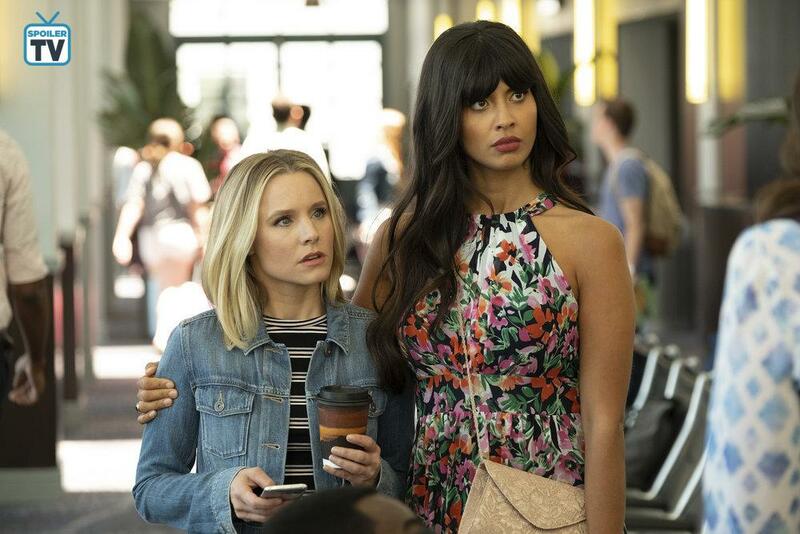 Next up in gaining closure with family: Tahani's turn! Elsewhere, as Chidi struggles to deliver some bad news, he turns to Eleanor and Janet for guidance. Along with the help of some possibly ill-advised technology that may seem slightly reminiscent of season two, Chidi somewhat struggles his way through a few different scenarios on how to break the news. He struggles so much that there may have to be an intervention, which takes an unexpected turn. Chidi may be falling back into old habits, but maybe he's been spending a lot of time with one of the members of the gang if the delivery of one of his lines in the latter half of the episode is any indication. You'll definitely know it when you hear it. 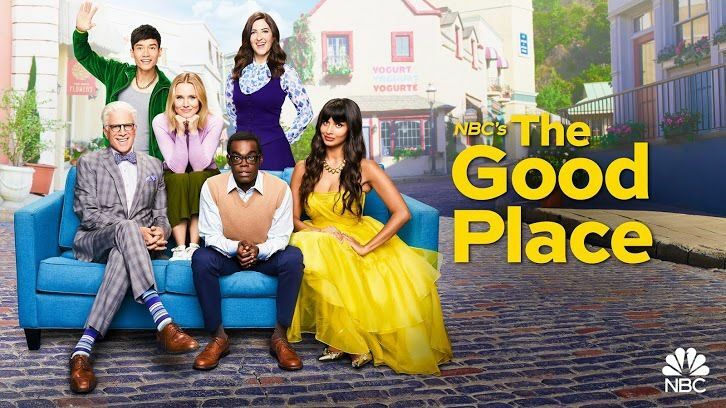 The Good Place airs tonight at 8.30 on NBC. Are you excited to see what Jason's home life is like? What do you think Chidi is battling with? Let me know in the comments.